This was Sowerby's pattern #2266. 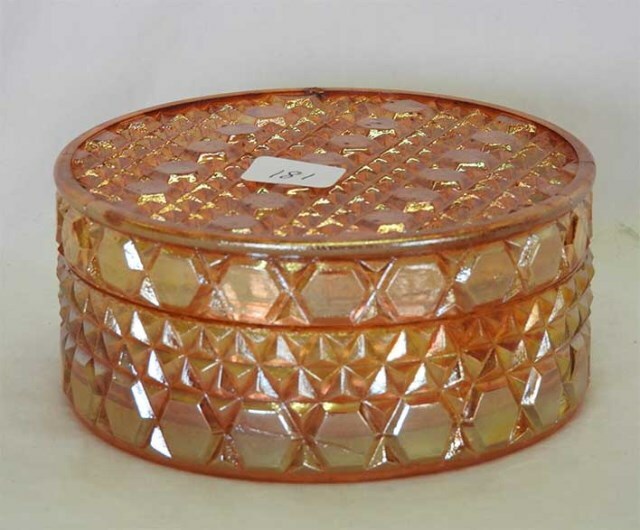 The exterior is covered with diamond points with a band of hexagonal buttons around the top. The interior is plain. 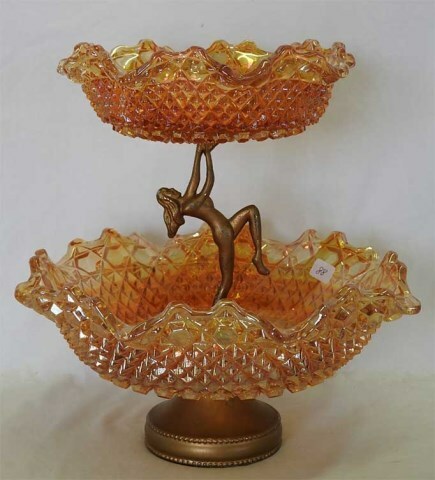 This pattern was produced in marigold during the mid 1920s and then again in the 1950s when it was made in a range of bowls and plates some fitted with a variety of unusual metal stands. 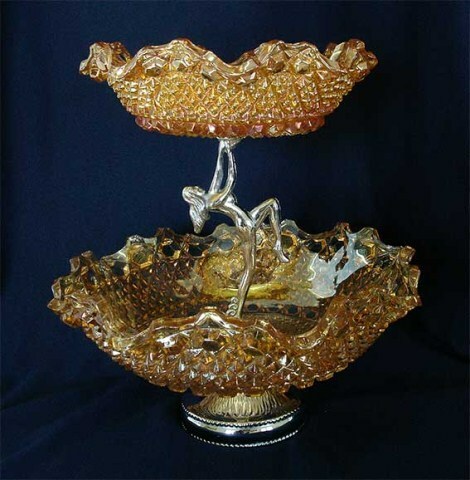 The rosebowl is from the collection of Randy and Joyce Stenbach. 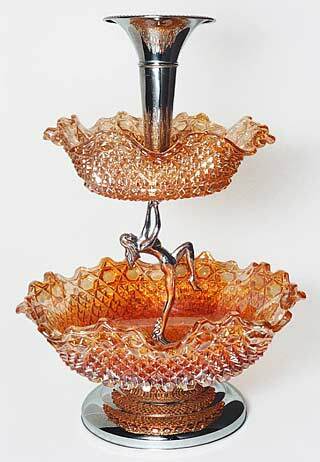 The epergne with the chrome-plated metal fittings sold for $450 in 1995; a compote with a stem like the figure in this one sold for $250 in 2001 and another sold in 2007 for $175. 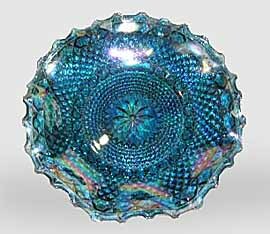 Be aware that Indiana Glass produced what they call a hostess plate (above right) that closely resembles this pattern. It is frequently misidentified as Sowerby's English Hob and Button.